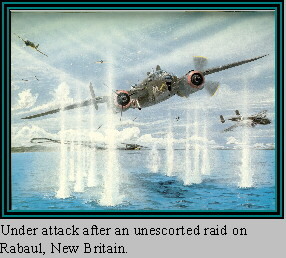 The 345th Bomb Group Association - Who Were These Men? While World War II was global in concept, it is the Southwest Pacific with which this book is primarily concerned, for it was there that the 345th Bomb Group served and it was there that it made its significant contribution to America's war in the skies. No theater of operation was so vast, none so hostile environmentally, as the Pacific, and the unique obstacles encountered there make the accomplishments of the 345th the more remarkable. It doesn't seem possible that 40 years have passed since the beginning of this story, years that have seen startling advances in air technology which seem to make the B-25 bomber primitive by comparison. Unchanged, however, are the memories of the kinship, camaraderie and the determined spirit of the men who served together in this exceptional air unit known as the “Air Apaches.” More than 4300 men served in this proud Group at one time or another. Many of them have made major contributions to this book by providing photos and detailed accounts of their experiences. The photos lend graphic authenticity and reflect the very essence of life in combat as experienced during the 30 months the “Air Apaches” were in the Southwest Pacific theater. They were the kids fresh from the backwoods and the farms and the tank towns of our land... young men from the business world of the skyscraper cities... from the mountains and plains, the Atlantic coastline and the Pacific slope and all the places in between... summoned up and thrown together to train in the South Carolina winter, and into spring... honed to a fine edge and thrust into combat on the far side of the world as a formidable fighting unit. They were the guys who did what had to be done, and what had to be done was just about anything you could think of or imagine. They were the guys who had to learn to fire M-l rifles and carbines, 45s and machine guns; and know when not to fire them; who saw that everyone had shirts and pants and shoes, gas masks and bed rolls and mess kits, razors and barracks bags and ponchos; who prescribed aspirin, atabrine and penicillin, and drove the ambulances, issued medicine and bandages, cared for the sick and wounded and patched the pieces back together. 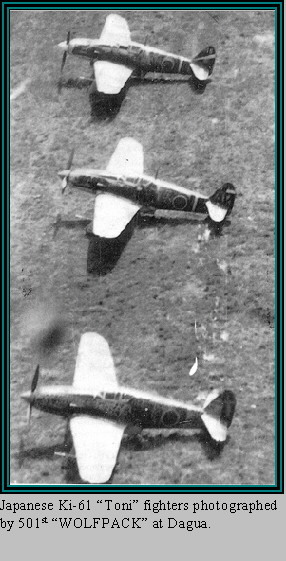 They were the guys who navigated the bombers, watched the instruments and their hack watches and the ocean currents and the air speed, and took the formations to the targets and back; who kept the records straight, and wrote the official orders, and ran the mimeographs and typewriters, wrote regulation letters and maintained the official files; who patched up the planes when they staggered home with bullet holes and shrapnel gouges and stone-dead shot-up systems and corked-out engines; who painted and polished, inspected and replaced the rivets and wires and hoses and gauges, and improvised to keep the birds in the air. They were the guys who strung the telephone and communication lines over coral landscapes, across brushy wastes and through coconut groves to connect the diverse, separated units with their strands of copper wire; who peered down the sophisticated bombsights and at the precise moment squeezed the button that rained all hell down on the target below; and the glamor guys up front who flew the birds... in tight formation to the pre-determined targets or targets of opportunity, and peeled off to take on enemy fighters, or send the payload down the pipe... or held the formation through screaming low-level runs across far-flung airstrips that threw up skies full of ack-ack... and, if they were lucky, they flew them home; sometimes intact, sometimes damaged, and sometimes barely held together by the scantest of faith, hope and a prayer completely shattered flew them in whatever condition to safe landings or crash landings at their home base or to one of another friendly outfit as a last resort. 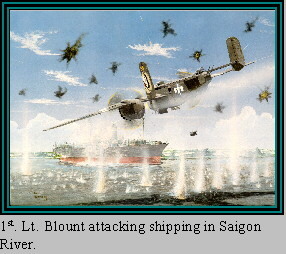 They were the guys who took what mediocre food was issued and prepared it under difficult conditions at any hour it was needed... in the pre-dawn hours for the flight crews scheduled for a mission or the flight line personnel who worked all night getting the planes ready to go with their bombs and fuel and ammunition. They did their job in makeshift tents or crude shacks that were called mess halls, and more often than not with the barely edible food they had to work with; who laid the pipelines for water and strung wires for electricity, and monitored the generators that furnished flickering lights for tents and shacks and repair sheds; who erected temporary buildings for Group and Squadron Headquarters, and for any other function necessary... then tore them down and moved them to the next location and set them up again, and tore them down and set them up as they moved a dozen or more times to new, advanced bases. They were the guys who provided old movies on hastily built screens in an open clearing, found equipment for softball and volleyball and whatever recreation could be generated ... and found the extra little amenities of candy bars and cigarettes and 3.2 beer; who took the combat films and quickly processed them for intelligence purposes, for target evaluation, and kept the cameras operational for that all-important function; who were God's representatives, who offered spiritual comfort and counsel, and put together little chapels and conducted services for men of every faith, and performed the last rites for those who slipped away to everlasting sleep; who set up tents and tried to keep them dry inside during torrential tropical storms... or free of knee-deep mud, or just staked down and stationary in the blasts of devastating typhoons; who held the briefings and planned the strikes and carried out the strategies before each mission; who saw to it that there were showers, sometimes crude at best, and latrines, and did what they could to maintain such facilities. They were the guys who censored the outgoing mail, and when the call went out, eagerly gathered for mail call when new sacks arrived from the States, hoping for word from that world that was so far away; who made the best of a bad deal at times like Thanksgiving and Christmas... and who saw a different kind of fireworks on the 4th of July... and May... and October... and February and September; who interpreted the strike photos and interrogated the crews after major missions and disseminated the information for use in future operations; who inspected and packed the parachutes, hoping that they would never be used; who suffered bouts with dysentery and dengue fever, hepatitis, malaria, diarrhea, skin rashes, jaundice, typhus, tetanus and ailments and infections the medics had never heard of before. They were the guys who experienced the merciless tropical rainstorms, the mind-softening 130-degree heat of the mid-day sun at the equator, and who hung on through twisting typhoons that wrenched the entire landscape; who felt the percussion of enemy bombs exploding nearer and nearer in an ever-increasing succession of sounds like no other... attacks which sent them scurrying into foxholes dug beside their tents or running for whatever cover was at hand... who knew the ghostly glow of incendiary and phosphorus bombs and the frightening scream of strafing guns that froze the heart of the bravest soldier... and, against all laws of averages, they were singled out as captive targets for direct hits by fanatical pilots of the Imperial Kamikaze Corps whose unbelievable strikes left a mind-shattering scene of injury, destruction and death beyond comprehension. But they were also the guys who witnessed savagely beautiful sunsets and the full moon over seemingly tranquil southern hemisphere seas... cooled off in wide jungle rivers and swam, at times, in the warm waters breaking on distant island shores; who spent endless lonely hours halfway around the world, thinking of pretty girls back home and of loved ones in their families, of baby sons and daughters they had never seen; who stretched out on their cots at night and joked and bitched and swore and talked to tent mates about a thousand things... and sometimes sat alone in the darkness... and cried... wondering if they would ever see their homes again. They sent letters back to the States, letters that were smudged and ink-stained because the sweat ran off their wrists and fingers as they wrote under the yellow light of an atabrine dipped bulb in the humid heat of the tropic clime... and there were no ball-point pens in World War II. Paradoxically, they were also the guys who found a way to laugh in the face of adversity and make the best of a lousy situation. They each carried their part of the load and maintained their poise in a proud organization... and, most of all, they clung to their sense of humor when their world had become a monotonous, constant struggle to stay alive. 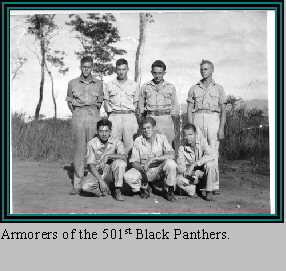 These were the men of the 345th and some of what they did. For the ones who remain to live again the events that were the threads of the 345th tapestry, it will be evident that Larry Hickey, who was not yet born when the “Air Apaches” went overseas and who has devoted half his lifetime to researching and compiling the factual material in Warpath Across the Pacific, has done a brilliant job of telling their story. Maurice J. Eppstein, Colonel USAF Ret. Special thanks to Lawrence J. Hickey, author of Warpath Across the Pacific , for his kind permission to print this and other excerpts from his book. See Also: "Brief Unit History"